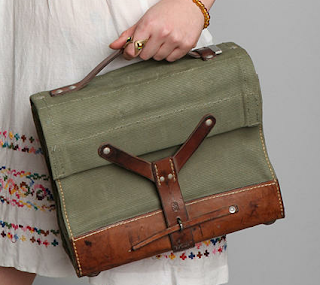 I love the look of weathered military pieces, like this vintage bag! The only thing that would make it better is if it had a cross-body strap... I wonder how hard that would be to add?? Buy at Urban Outfitters for $89.